You must be a member of the Singapore Page Turners Group to attend this activity. Would you like to join this group? We are continuing our coverage of books from Asian authors. I picked a controversial book from Korea. The book is available in the public library and in PDF on the internet. Please add the activity in your calendar so you will remember the date and the place and cancel if you won't make it. Please be on tiime not to interrupt the discussion. Before the nightmares began, Yeong-hye and her husband lived an ordinary, controlled life. But the dreams--invasive images of blood and brutality--torture her, driving Yeong-hye to purge her mind and renounce eating meat altogether. It's a small act of independence, but it interrupts her marriage and sets into motion an increasingly grotesque chain of events at home. As her husband, her brother-in-law and sister each fight to reassert their control, Yeong-hye obsessively defends the choice that's become sacred to her. Soon their attempts turn desperate, subjecting first her mind, and then her body, to ever more intrusive and perverse violations, sending Yeong-hye spiraling into a dangerous, bizarre estrangement, not only from those closest to her, but also from herself. 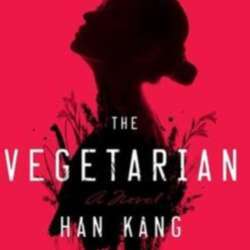 Celebrated by critics around the world, The Vegetarian is a darkly allegorical, Kafka-esque tale of power, obsession, and one woman's struggle to break free from the violence both without and within her. Han Kang is a South Korean writer. She won the Man Booker International Prize for fiction in Protected content The Vegetarian, a novel which deals with a woman’s decision to stop eating meat and its devastating consequences. The novel is also one of the first of her books to be translated into English.